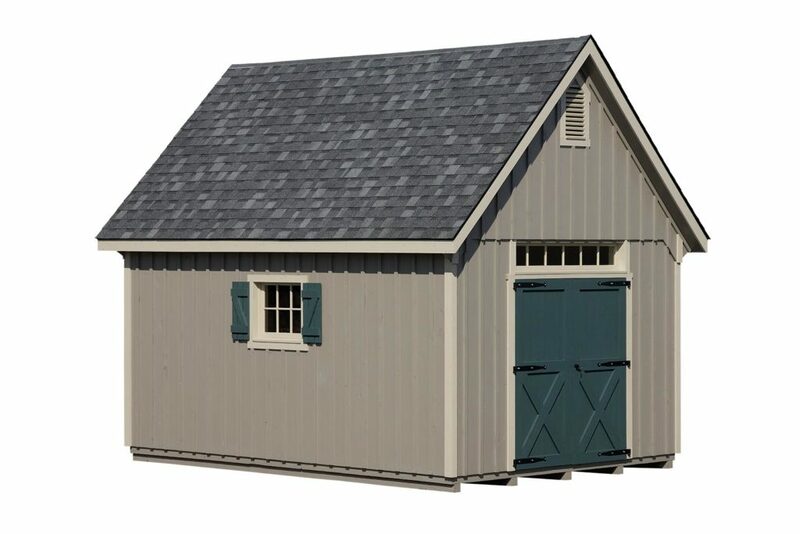 Topped with a fox hollow gray shingle roof, this 12×24 white river style storage shed is sturdy and built to last. It has clay painted siding with tan painted trim and decorative gable vents. Windows with shutters are placed on either side and a transom window is above the door.